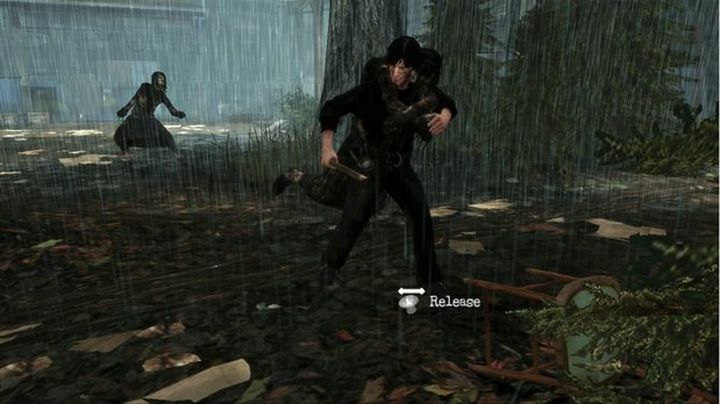 Silent Hill: Downpour took the series back to its roots in 2012. As the “Downpour” part of its name suggests, this Silent Hill game mostly replaced the series’ trademark fog with rain (lots of it actually…). This also marked a return to Silent Hill’s traditional survival horror gameplay, after the linear action of the earlier Silent Hill: Homecoming had left many with a bitter taste in their mouth. Downpour also had some interesting role-playing choices, as you could decide the fate of certain characters throughout the game. And like earlier Silent Hill protagonists, Downpour’s main character Murphy Pendleton isn’t a super-soldier in combat. The combat was hardly exciting though, despite the breakable weapons and scarcity of ammo for firearms. But exploring the town of Silent Hill and its environs (especially a rickety old mine) was fun here, though. Plus there were some interesting side-quests too in a Silent Hill game that might not be up there with the series’ best, but which still offered plenty of good survival gameplay back in 2012. Came out on: Xbox 360 and PS3.